It’s called the Spritz Hugo (Ugo in Italian, pronounced OOH-goh). It’s the preferred aperitivo — summer or winter — around the Dolomites. Refreshing and light, the Spritz Hugo has been high-altitude tested by respected baristas. He later tweaked the recipe, dropping the lemon syrup and adding a syrup made from the flowers of an indigenous plant that thrives all across the European Alps — Elderberry. 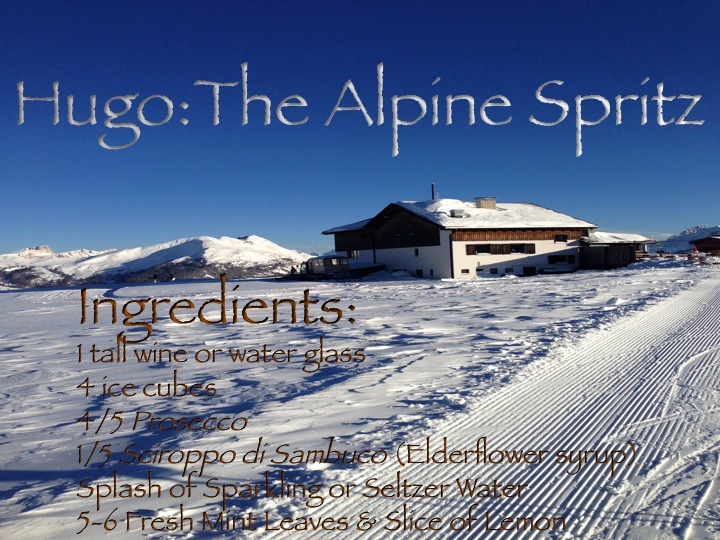 And, the real Spritz Hugo was born and continues to stand on the top rung of the ladder of popularity around bars, chalets and other watering holes that dot the landscape. Elderberry — Sambucus Nigra (Latin), Sambuco Nero (Italian) — is the plant from whose flowers (Elderflowers) are transformed into Sciroppo di Sambuco, a syrupy-sweet cordial that is the key ingredient to a properly prepared Spritz Hugo. Not to be mistaken with Sambuca — the strong, licorice-flavored, clear liqueur with the signature three coffee beans (mosquitos) floating in the glass — Sciroppo di Sambuco is bright yellow, very sweet and comes out thick, like a syrup should. Not too much of the Elderflower syrup is needed in the Spritz Hugo, just enough to let you know that it’s in there. The Hugo is approximately 4/5 Prosecco and 1/5 Elderflower Syrup, just about a 4-to-1 ratio between the two primary liquids. Care to make one? Great. Let’s mosey on up to the virtual bar and get our hands a bit sticky using a bottle of homemade Sciroppo di Sambuco courtesy of Helene Markart, Executive Chef at Hotel Adler in Villabassa up in the Val Pusteria. The Dolomite-tested Spritz Hugo. It’s the low-octane, high-altitude Italian cocktail preferred by skiers, snowboarders, hikers and trekkers alike. The Spritz Hugo. 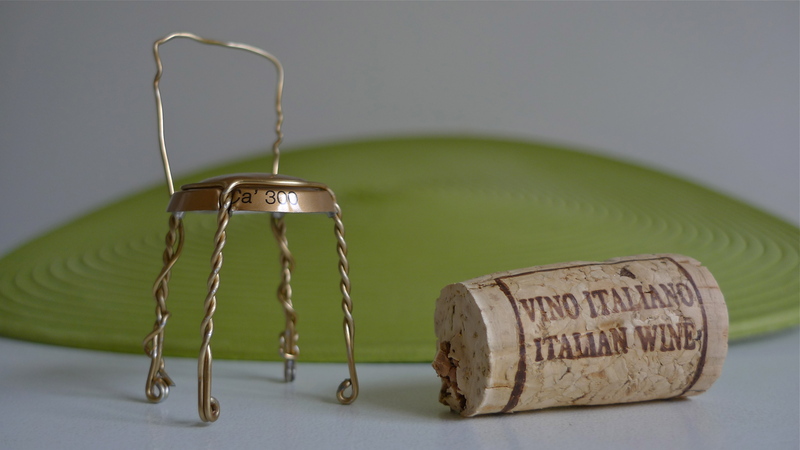 The one aperitivo guaranteed to have you smiling and dreaming about a winter or summer vacation up in the mountains. Yodel-Ay-Ee-Oooo!